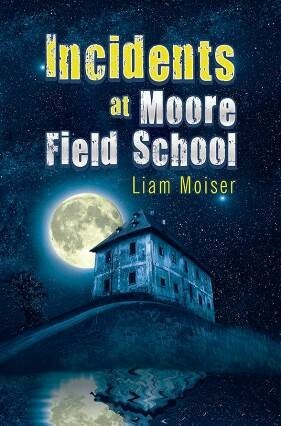 EAST YORKSHIRE, England - July 18, 2014 - PRLog -- Strategic Book Publishing & Rights Agency is pleased to announce the release of its newest title, Incidents at Moore Field School, by author Liam Moiser. Cliffhangers galore haunt this second book of the series that takes place at Moore Field School in the heart of England. The story continues as students wonder what they can do to get back the school’s trophies that have gone missing. Miss Moore, the headmistress, used to attend the old school at the site, and has plenty of friends who have died. These spirits turn out to be the ghosts that students Samantha and Jessica have been talking to! Another student named Olivia is worried about her dad, because he once again announces that he won’t be home until Easter. Even more intriguing, the men seeking the trophies use Olivia’s father as bait to get what they want. Why is all this mayhem happening at Moore Field School? Liam Moiser lives in East Yorkshire. This is the second book in his Moore Field School series, and he is working on the next book. Incidents at Moore Field School takes off where the first book Moore Field School and the Mystery left off. His first book received two awards: Honourable Mention at the London Book Festival and Honourable Mention at the New York Book Festival. http://sbprabooks.com/LiamMoiser or at www.amazon.com or www.barnesandnoble.com.